We are a leading Manufacturer of pp bore foot valves, plastic threaded spring foot valve, pp threaded washer foot valves, pp rocket foot valves, plastic rocket foot valves and pp green washer foot valves from Ahmedabad, India. We are instrumental in providing our clients a comprehensive range of PP Bore Foot Valves. The offered foot valves are acclaimed among customers owing to their optimum performance and longer life. These foot valves are designed with utmost precision using excellent quality of material and advanced techniques as per the predefined norms of industry. Also, our whole range of foot valves is offered at competitive price to our customers. 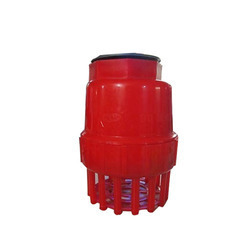 Backed ourselves with sound amenities and talented personnel, we have emerged as leading manufacturer, trader and supplier of Plastic Threaded Spring Foot Valve. The offered foot valves are acclaimed among customers owing to their resistant to corrosion and abrasion. These foot valves are designed with utmost precision using excellent quality of material and advanced techniques as per the predefined norms of industry. Also, our whole range of foot valves is offered at competitive price to our customers. We are actively engaged in manufacturing, trading and supplying an excellent range of PP Threaded Washer Foot Valves. 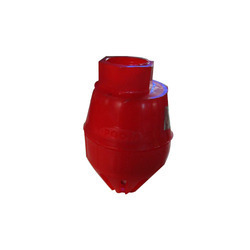 The provided foot valve is developed by our adept professionals utilizing modern techniques & top notch material in compliance with the set norms of industry. This foot valve is used in different industries to prevaricate the reverse flow of materials. 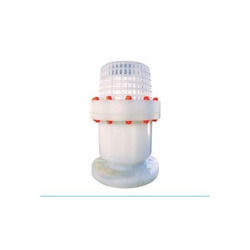 Clients can avail this foot valve from us in a committed time frame at pocket friendly rates. Our organization is actively engaged in manufacturing, trading & supplying of PP Rocket Foot Valves. Our given foot valves are examined on several parameters of quality for ensuring its flawlessness. These foot valves are designed by our experts, using optimum quality material as per the set guidelines of industry. Offered foot valves are obtainable in diverse stipulations as per the need of clientele. With an aim to stand tall on the expectations of our esteemed clients, we are providing PP Green Washer Foot Valves. These foot valves are developed from finest quality material and cutting edge techniques in fulfillment with set norms. Our offered foot valves are tested in terms of quality so as to dispatch a flawless range. 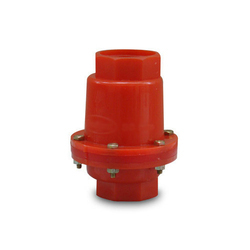 We provide these foot valves in diverse specifications as per the need of clients. 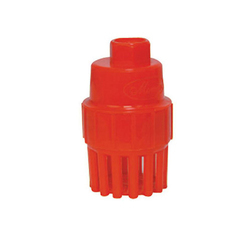 We have established ourselves as leading manufacturer, trader and supplier of Plastic Bore Foot Valves. 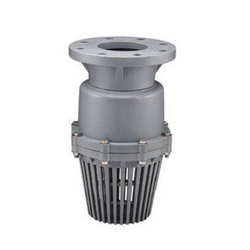 The provided foot valves are commended among patrons for their superior performance & longer service life. These foot valves are designed by our skilled workforce using premium quality basic material as per the industry defined norms. Offered foot valves are checked in terms of quality in order to dispatch a faultless range. 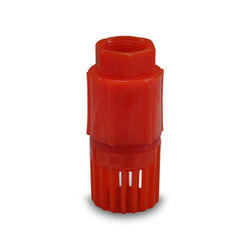 Our organization specializes in manufacturing and supplying an exquisite range of PPThreaded Spring Foot Valve. The high-grade stainless steel is procured from the reliable and well-known vendors of the market to manufacture the springs and neoprene rubber for washers, which ensure optimum quality of the foot valves. Moreover, the Threaded Spring Foot Valves offered by us facilitates free flow through pumps with minimum restrictions. Keeping in mind the track of advanced market development, we are engaged in manufacturing, trading & supplying a quality assured PP Threaded Washer Foot Valve. These foot valves are developed from finest quality material and cutting edge techniques in fulfillment with set norms. Our offered foot valves are tested in terms of quality so as to dispatch a flawless range. 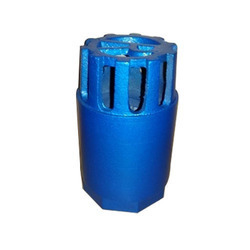 We provide these foot valves in diverse specifications as per the need of clientele. We are a foremost organization engaged in manufacturing and supplying a wide assortment of Nut Bolt Washer Foot Valves. In order to ensure their better performance, these valves are offered with rubber flap washer. In addition to this, BSP thread in green color and screw end is also attached with these valves. Moreover, these valves are designed in compliance with the set industry standards using qualitative raw material. 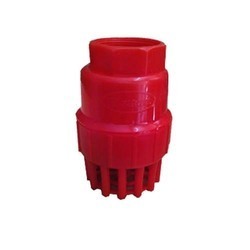 We are manufacturing PP Foot Valve which are being used in many applications like agri industries, irrigation industries, chemical industries etc. 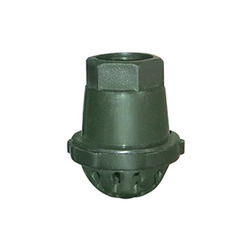 We are one of the leading manufacturers and suppliers of a wide range of Green Washer Foot Valves. These valves are manufactured using optimum quality raw material, which is procured from the reliable vendors of the market. Moreover, in order to remain at par with the set industry standards, we test the entire range on various well-defined parameters before the final delivery. Owing to their features like optimum performance and longer life, these valves are widely demanded by the clients. Looking for Foot Valve ?